Spectrum was an album that I had to grow into. And that growth occurred through a specific kind of context as well. 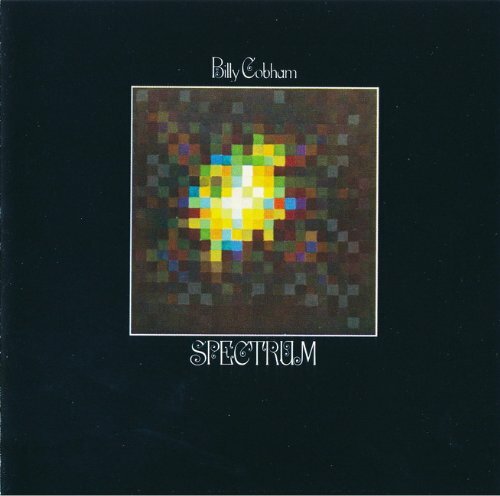 Knowing full well that the album was Billy Cobham’s debut as a leader following his departure from the Mahavishnu Orchestra? I was very psyched up to hear this album upon first learning about it a decade or so ago. At the time? My views on progressive instrumentation was caught between the influence of my own likes and the happiness of others. The precision style of what I call “speed fusion” put me off to some degree at the time because of that ambiguity. It was growth from both within and without myself that led to appreciating Spectrum more. “Quadrant 4” is basically a blues based combination of the jazz fusion synthesizer playing of Jan Hammer with Cobham and Tommy Bolin giving the song a shuffling hard rock theatrics about the general atmosphere of the song. “Searching For The Right Door” begins as a grandly percussive drum solo before going into a more funk oriented stomp for the title song. “Anxiety” similarly goes into the uptempo,rhythm guitar based uptempo funk/fusion of “Taurian Matador”. “Stratus” is a tremendous near 10 minute number that takes the progressive drum solo into a rhythm guitar/electric piano led funk storm- before returning to a full band version of that huge intro sound yet again. “Le Sis” has another mellow electric piano based jazz/funk groove about it with a strong melody and slippery synth solo. “Red Baron” is still my favorite number here-with it’s slow stomping groove keeping itself funky in the James Brown tradition. This concludes the blend of jazz rock soloing and jazz funk grooves that pepper themselves across the album. One of the things that I’ll bet that suits me more listening to this album today? It’s very much created with musicians in mind. Melody and song structure takes an almost total aside for instrumental ability. As well as extremely complex changes in rhythm. As casual listening? It might not work as well. It is an album you have to invest in,study it a bit. Each song encompasses so many contrasting themes? It’s not even something you can dance to. Yet if your in just the right mood? This is seriously addictive,not to mention extremely well played on,jazz/funk/fusion at it’s finest.